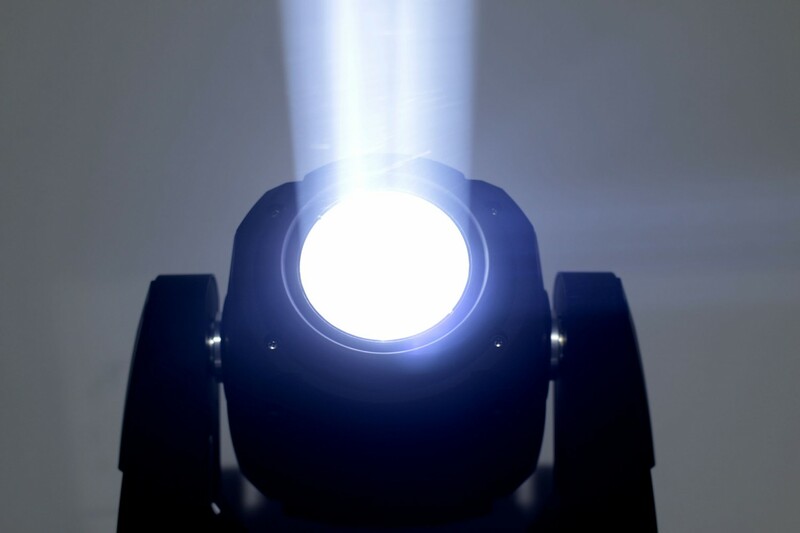 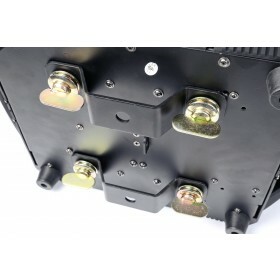 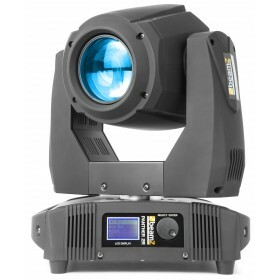 A Panther 2R moving head with bright output due to the use of the 2R 132W high Intensity discharge bulb. 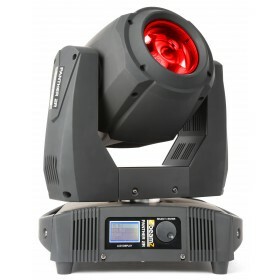 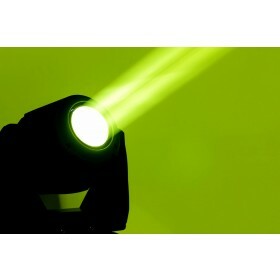 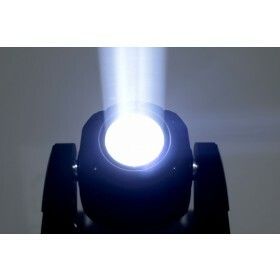 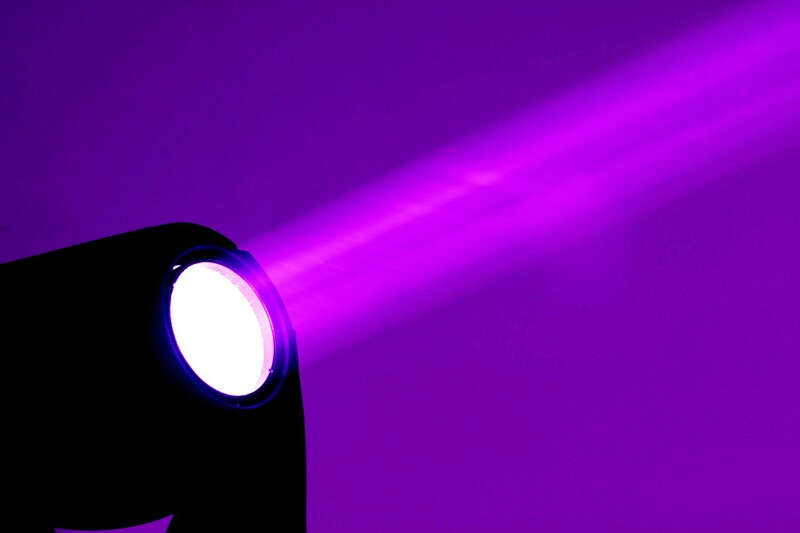 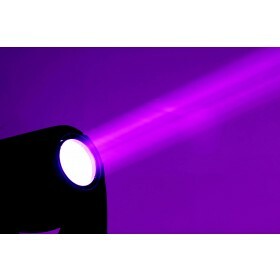 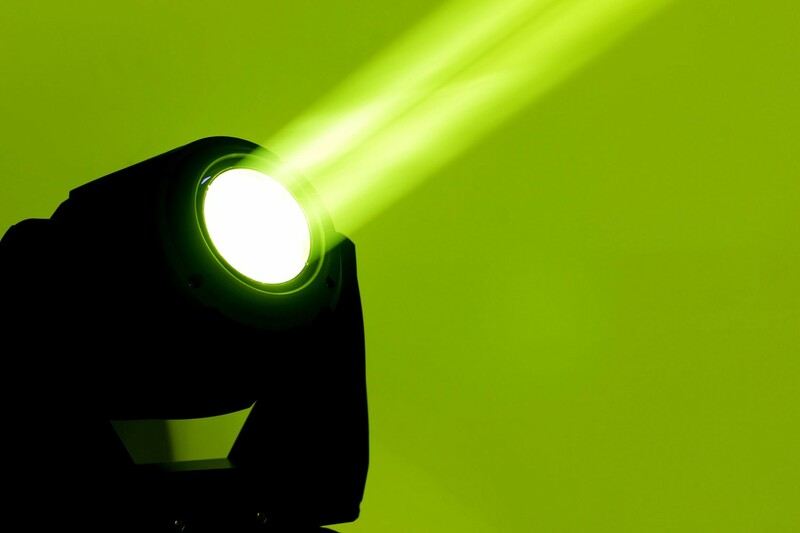 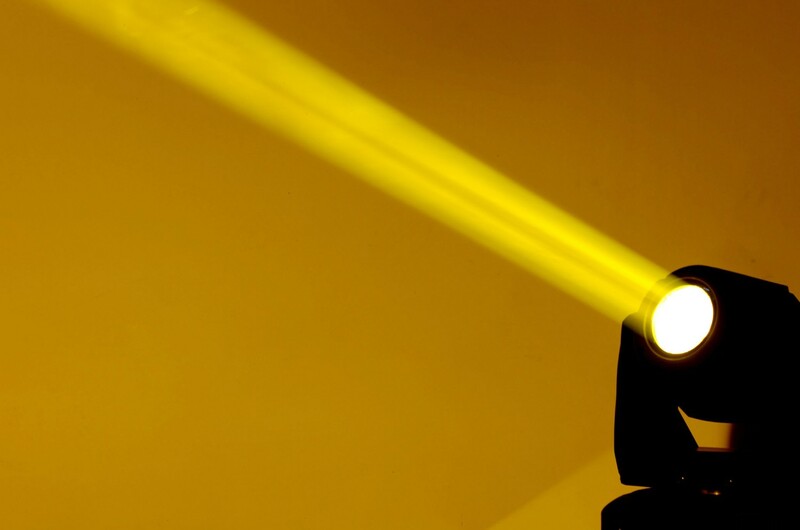 The moving head is equipped with a colour, gobo and prism effect wheel for ultimate control. 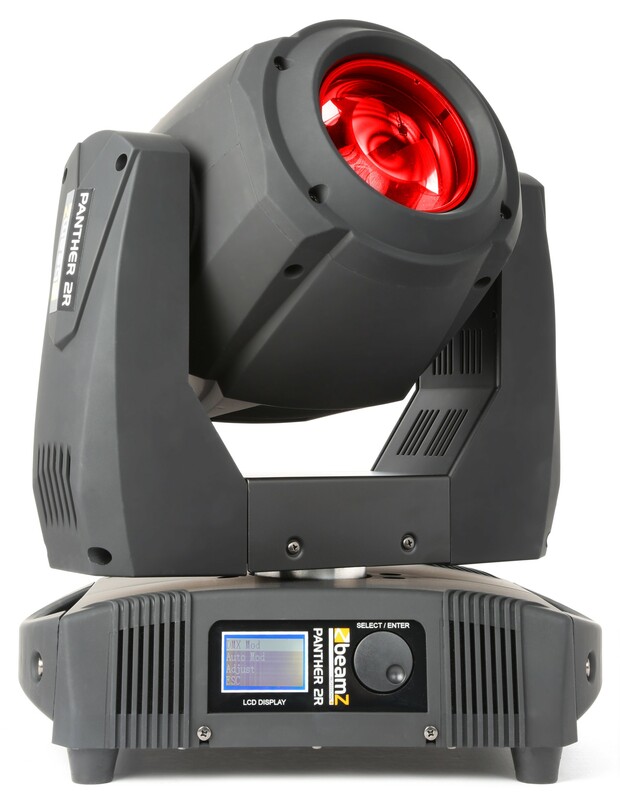 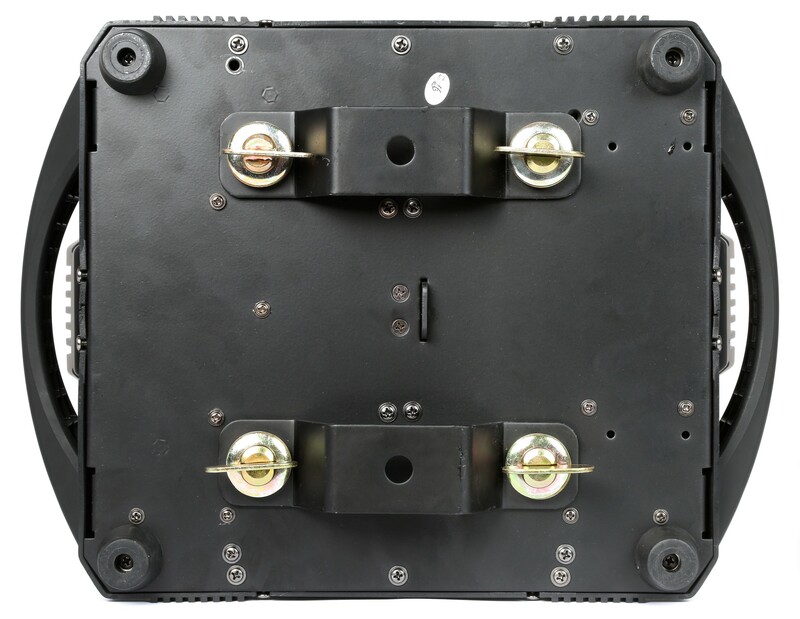 The gobo wheel has 8 different gobos and 7 open beam. 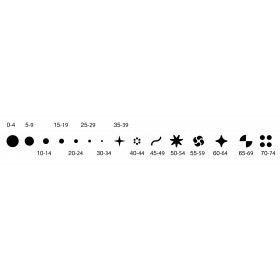 The colour wheel has 12 colours + open. 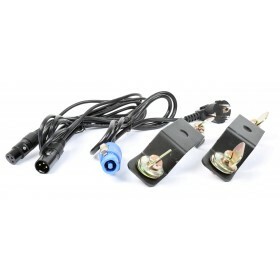 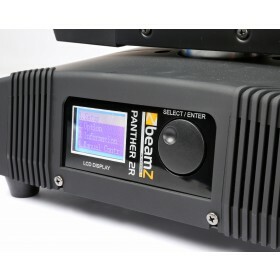 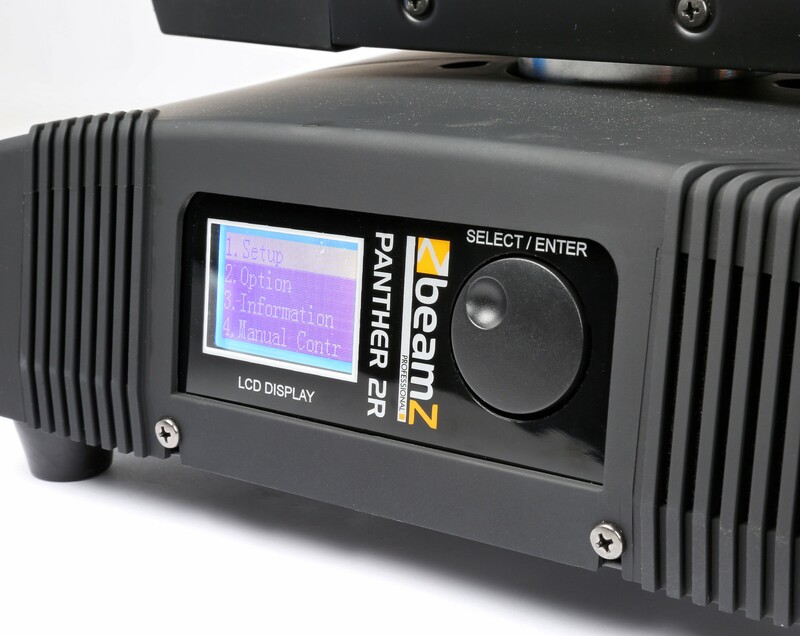 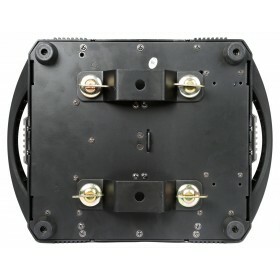 This Panther 2R moving head works both in DMX or stand-alone mode. 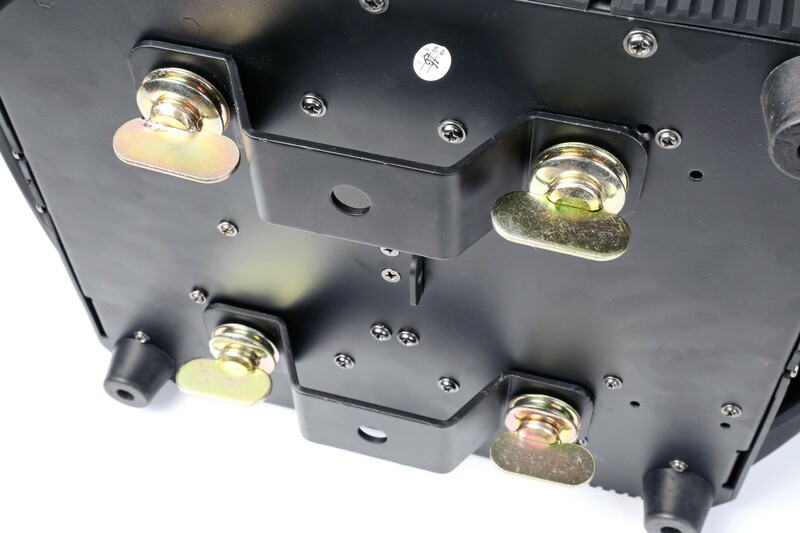 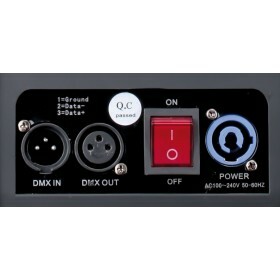 When operating in DMX mode you have complete control with 15 DMX channels. 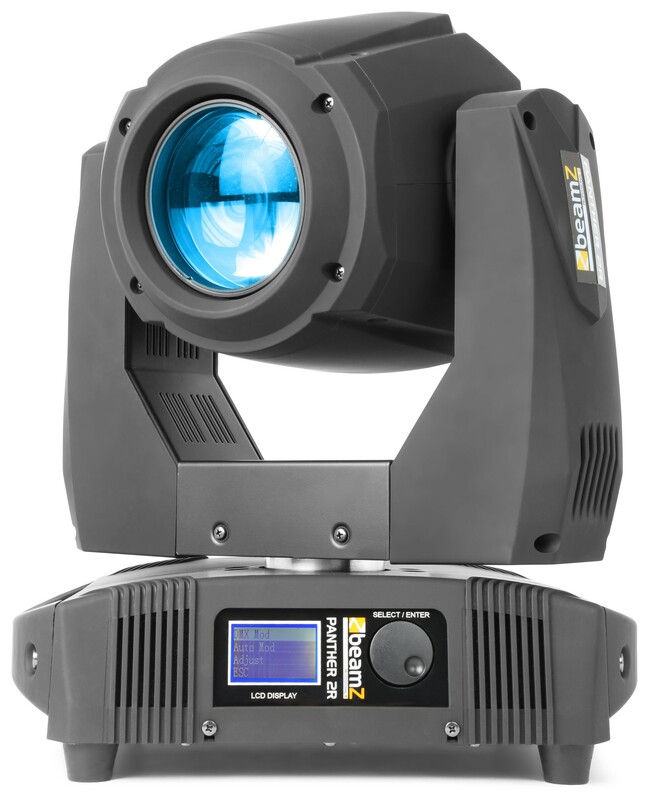 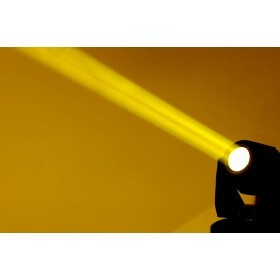 Among its features are an mechanical shutter and adjustable speed strobe, prism rotation, motorized focus, mechanical dimmer and a gobo shake effect.